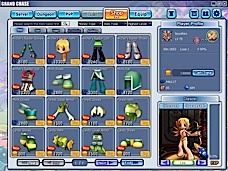 Home » Pinoy Gaming Network » MMORPG » Grand Chase – Action Packed MMORPG by Level Up! Level Up! (LU), the Philippines’ biggest MMOG publisher, is releasing one more action packed MMOG this October titled Grand Chase. This is the second game released by Level Up! this year after Crazy Kart. Grand chase is one of the first real-time fighting games being released in Philippine market. It features quests, dungeon raids and PVP match-ups. PVP in Grand Chase can hold up to 6 players to compete simultaneously against each other! Just imagine how exciting this game will be while fighting with other players online. Controlling your character will be much like what you are accustomed to your favorite fighting games plus the ability to customize it. Bored with your basic character? Play more to reach the level required to advance in 2nd or 3rd grade fighter! Grand Chase is like your typical MMORPG game such as Ragnarok Online which you are rewarded by having the ability to job change. Advanced fighting skills and abilities can be unlocked when you reach the right level. 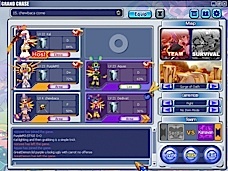 Grand Chase offers two types of fighting modes: 3:3 Team Play and and Survival Mode. You can build your own team and compete against another team in 3:3 Team Play. It’s actually not required that you fill all 3 slots but having a complete roster in your team is much more enjoyable. You may still challenge other players in 1 versus 1 mode though. Survival Mode is like Royal Rumble in wrestling. It’s an all-out-war against 5 other players and you need to be the remaining player standing to win the game. Grand Chase will be free to play game but will be supported by an in-game shop that will require you to top-up game cards to be able to purchase customized skills, abilities and avatars. Heads up at Grand Chase official website to register for closed beta and download the client.